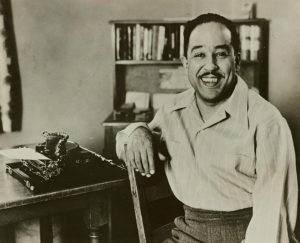 The man for which the Langston Hughes Performing Arts Institute (LHPAI) was named and where we carry out the majority of our work, is a constant inspiration for us. LANGSTON is dedicated to cultivating and showcasing Black brilliance in our community. New LANGSTON leadership is poised to hire dynamic and skilled staff to carry out the organizational goals and strategic direction set by the Board of Directors. Creating and fortifying strong financial and programmatic infrastructure to ensure long term sustainability and success is a core charge for LANGSTON board and staff. Our board is composed of a group of dedicated and experienced community and arts leaders committed to serving and responding to the needs of the LANGSTON community. This year, LANGSTON will showcase stories from the African Diaspora through the lens of over 25 independent filmmakers in the 16th annual Langston Hughes African American Film Festival. Join our mailing list to stay updated on the latest news and events.